If we want to change the world, we must start with prayer—not just a token prayer before we start doing something in our own strength, but prayer based on God’s heart, birthed by the Holy Spirit. Scripture says that our battle is not against flesh and blood, but against principalities and powers (Eph. 6:12). Victory in the spirit lays the foundation for our work to be effective in the flesh. Mission must start with prayer, and prayer is something we can all participate in, starting right here at Missions Fest Vancouver in Meeting Room 4. 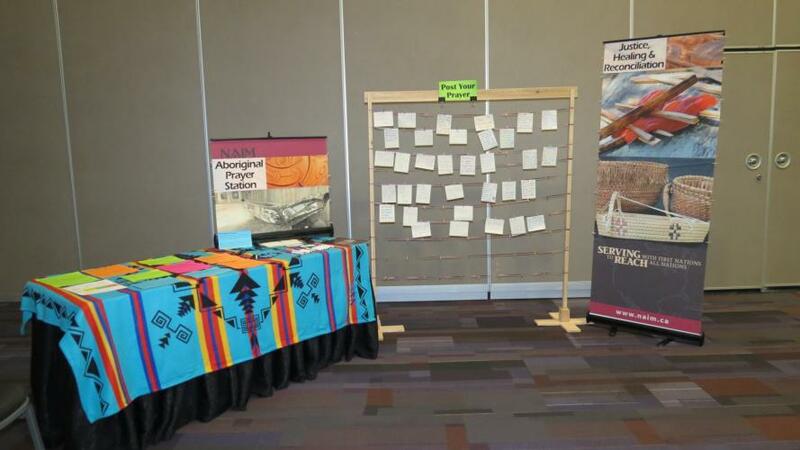 Interactive Prayer Stations are opportunities for you to engage in personal prayer for different issues that impact mission. Drop in to receive prayer. Our trained teams from the Healing Rooms would be happy to spend time praying for personal needs and direction. The public are invited to join us in the Prayer Room to intercede for the speakers, the worship, and the exhibitors. We also want to pray that God will meet each of the attendees and direct them to their place in his mission. People can register to volunteer for a shift on the weekend in addition to dropping in.